The next several weeks will be full of fava bean splendor. 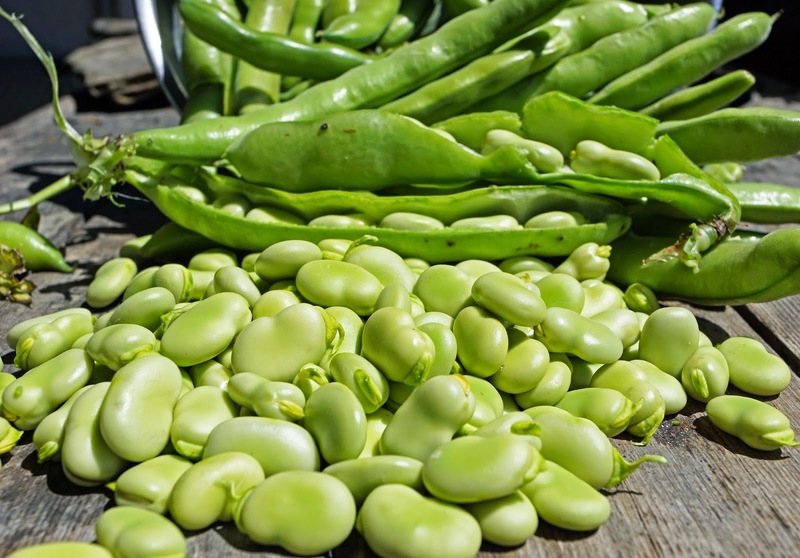 Fava beans are very easy to grow. One can almost just throw them out the window and three months later harvest. California is in a serious drought these days but our beans were only irrigated by the limited rainfall we did have. Fava beans can be a little involved in their preparation. The beans need to be peeled out of their pod. There is a membrane on these seeds that can be removed by a quick blanching with salted water. They are then ready for seasoning for many dishes. I like salt, pepper, olive oil and balsamic vinegar. 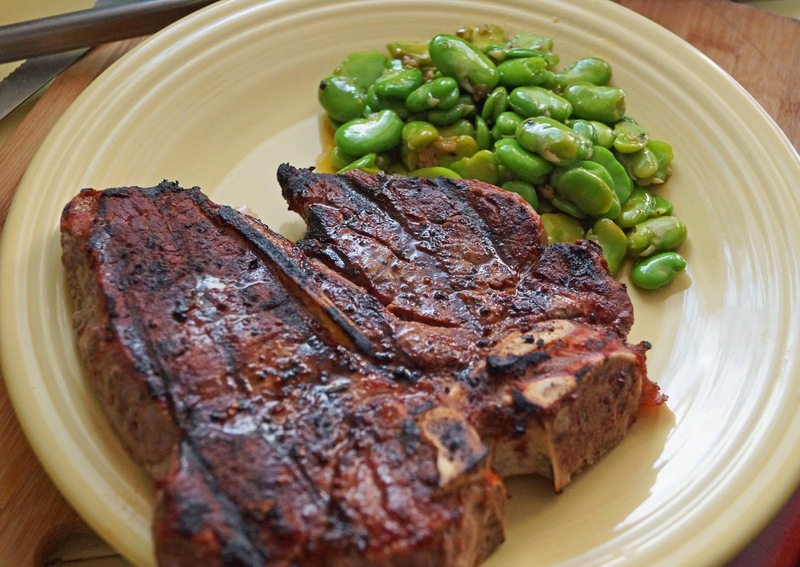 A steak accompanied by fava beans is a spring treat that I love. I don't know if I've eaten Fava's so can't say much about them, but I can say that porterhouse looks mouthwatering. Big Dude, Fava's are a spring vegetable that I look forward to their arrival ever year. They can be eaten when they are immature seeds all the way to dried. I hope you get to enjoy them sometime. I love the meat to veg ratio. That is a beautiful porterhouse. I would carve it leaving some meat on the bone. That would be mine! I've never tried this bean. I will have to look for them at the store and maybe pick up a bottle of chianti as well. Greg, The porterhouse was from Harris Ranch. Good stuff. Three Dogs BBQ, You usually do not see fava beans at grocery stores unless they are dried. The farmers market is a better bet. They are very easy to grow.